Women might benefit from ingesting their in many ways. Your placenta may help you replenish what is lost after the birth of your baby and help prevent the baby blues. Placenta encapsulation is believed to: contribute to an abundant production of breastmilk, balance your hormones and boost energy, and decrease postpartum bleeding and aid your uterus in returning to it's pre-pregnancy size. Researchers from the National Institutes of Health... discovered that during the 3rd trimester of pregnancy, the placenta secretes a hormone called CRH. The rise during the 3rd trimester cause the CRH levels in the maternal bloodstream to increase threefold, which is believed to help the mother get through the last months of pregnancy, labor & birth. George Chrousos, the endocrinologist who led the NIH study, and his colleagues monitored CRH levels in 17 women from the 3rd trimester to 1 year postpartum. Based on the clinical findings, Chrousos suspects that CRH levels are low in new mothers because during pregnancy, when CRH levels are high, the hypothalamus releases less CRH. After birth, however, when this supplementary source (the placenta) of CRH is gone, it takes awhile for the hypothalamus to get the signal that it needs to start making more CRH. Since the placenta stores a large amount of this particular hormone, it makes sense that ingesting the placenta would result in more stable levels of CRH and therefore, a more stable emotional life for the mother. We know that the placenta also contains high amounts of iron. Generally, low iron has been linked with feelings of fatigue. Feelings of fatigue have been linked with greater instances of postpartum depression. It follows that ingesting iron from the placenta, which is a bio-available source of iron, would result in more energy for the mother. Consequently, more energy may help protect women from postpartum depression. These statements have not been evaluated by the FDA due to the nature of this service. Sparrow Song Birth Services makes NO medical treatment claims. Services provided are not clinical, pharmaceutical, or intended to diagnose, treat, or cure any condition. Families who choose to utilize these services take full responsibility for their own health and product usage. Over the past 3.5 years I have encapsulated 200 placentas. 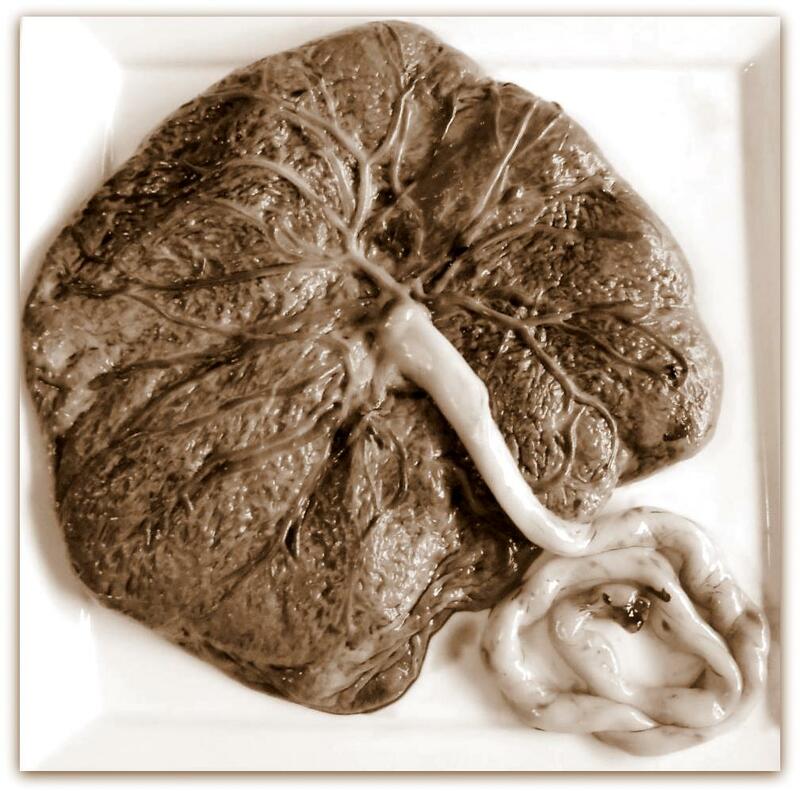 I began the process of becoming a Placenta Arts Specialist in the beginning of 2015 after 3 years in birth work. Wishing to provide my clients with the highest level of service possible, I sought training with APPA (The Association of Placenta Preparation Arts). APPA provides comprehensive, in-depth training that holds its students to the highest standards of professionalism. This international organization is considered the *gold standard* in placenta preparations training. I encapsulate 4-5 placentas/month. Don't wait to get a spot on my calendar, contact me soon! Your placenta will be steamed, dried, ground and encapsulated according to food safety and BBP guidelines. 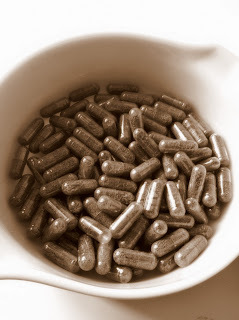 Your capsules can be ingested on a daily basis for several weeks. When you feel that you have fully healed after your birth, you will be able to freeze the remaining capsules for occasional use in the future. A single placenta usually yields between 75 and 200 capsules. The encapsulation process should begin within the first 2-3 days after your baby's birth and, once started, the entire process is completed in approximately 24-72 hours. Your placenta will be handled with the utmost respect and attentiveness and you have the option of either on-site or off-site preparation. 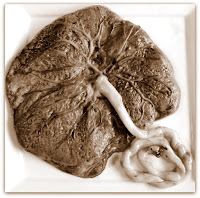 Universal precautions and OSHA/EPA techniques are always utilized when we are working with your placenta. Placenta Encapsulation cost $275.00. A retainer fee of $75 is required at contract signing. Sparrow Song birth clients will receive a $50 discount. Placenta tincture is created by combining a small piece of your raw placenta and a high quality alcohol. The tincture holds benefits for both mother and child. Your tincture extends the life and usefulness of your placenta and can be used in times of sickness, hormonal imbalance and emotional trauma. Placenta Tincture (4oz) costs $35.00. Sparrow Song birth clients will receive a $5 discount. Placenta prints are created prior to your placenta being washed and prepared. The prints are created with the blood found on your placenta and acid-free artist grade paper. Some families frame and display their prints and others choose to save them as personal keepsakes. Your placenta prints will serve as a unique reminder of the "tree of life" that nourished your baby before he or she was welcomed into your arms. Placenta Prints (2-4 prints) costs $30.00.